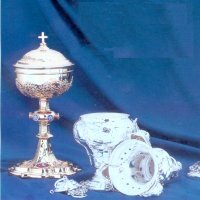 Our craftsmen can restore broken, dented, bent and tarnished sacramental vessels to their original beauty. 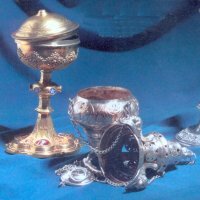 We offer a New Life for your most treasored sacred pieces. E-mail us dimension and size of pieces to restore, and we will give you a free estimate of restoration cost. We have an expertise of over 25 years. 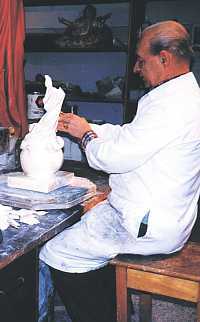 Indoor plaster statues or outdoor cement or metal statues can be restored to their original look by our artisan. E-mail us dimension and size of statues to repair with a small description of the work to be done, and we will give you a free estimate of restoration cost.